Are you looking to downsize, start or grow your investment portfolio or you have had enough of paying someone else's mortgage, then you should certainly check this little beauty out! Situated in a quiet cul-de-sac on a 369m2 fenced section where the options are endless. 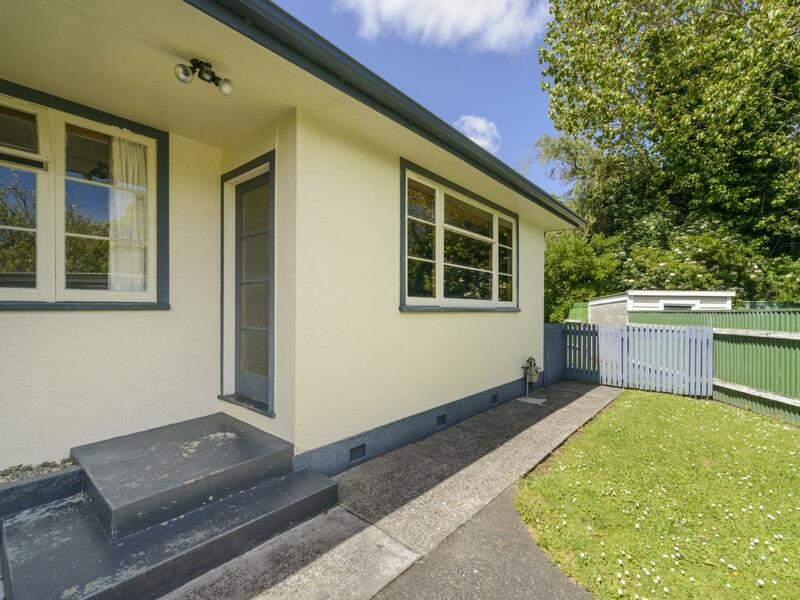 This 1960's stucco duplex-unit with beautiful wooden floors, has two generous sized bedrooms - perfect for young professionals, small families or retirees. The separate west facing lounge, combined spacious kitchen and dining area with plenty of storage, separate laundry and combined bathroom with shower, vanity and toilet completes the interior. This property is privately situated at the rear of the duplex, and has its own driveway with a carport and garden shed. Close to schools, supermarket and shops. For easy living, or a great investment, you need to view this property!